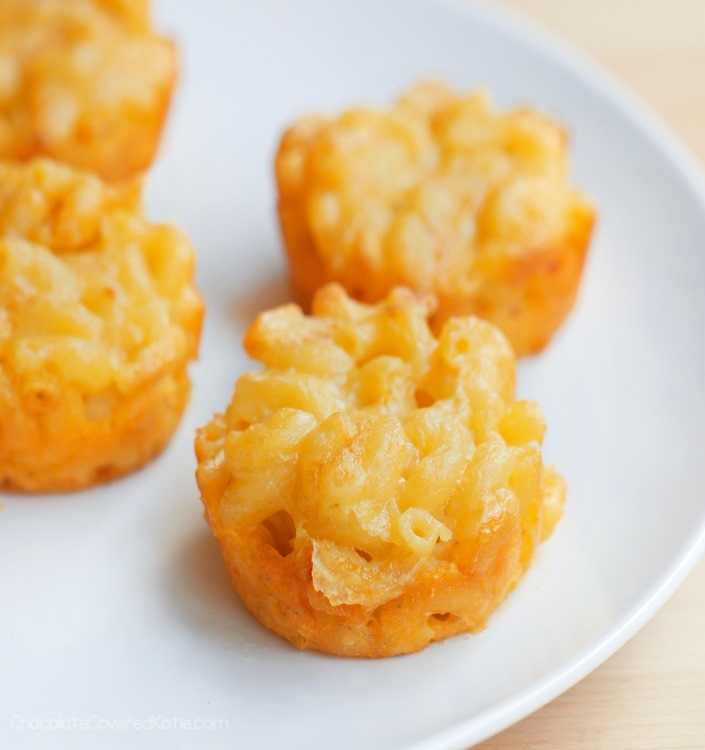 Home » Baked Mac & Cheese Cups To Go! 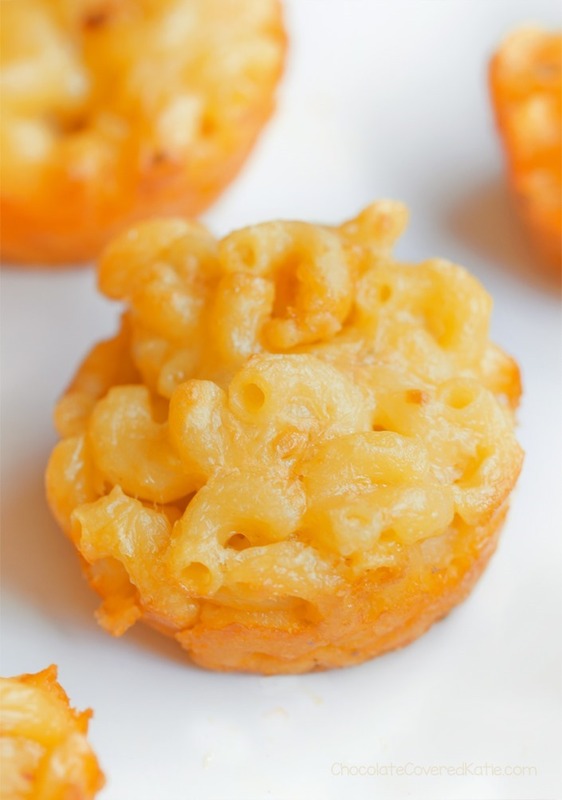 Once you make these comfort food baked mac and cheese cups, lunchboxes will never be the same! 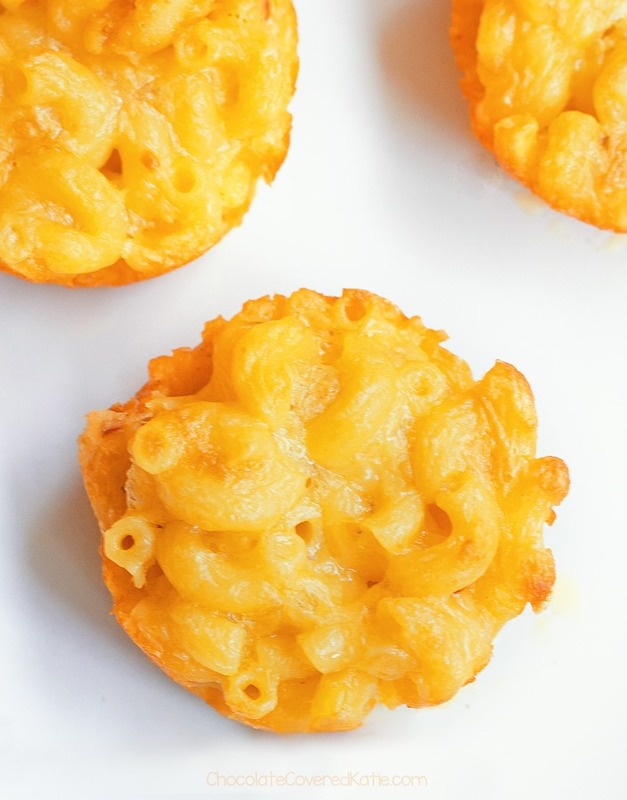 These mac & cheese cups are perfect for throwing into a lunchbox. Baked in a muffin tin for instant portion control, they are super easy to make – with just 5 ingredients! 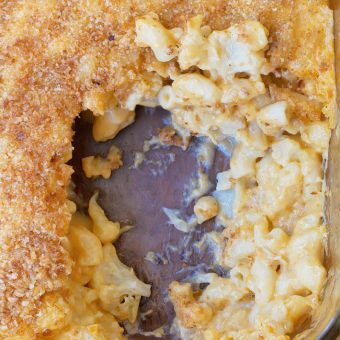 Get ready to love macaroni and cheese even more than you already do. 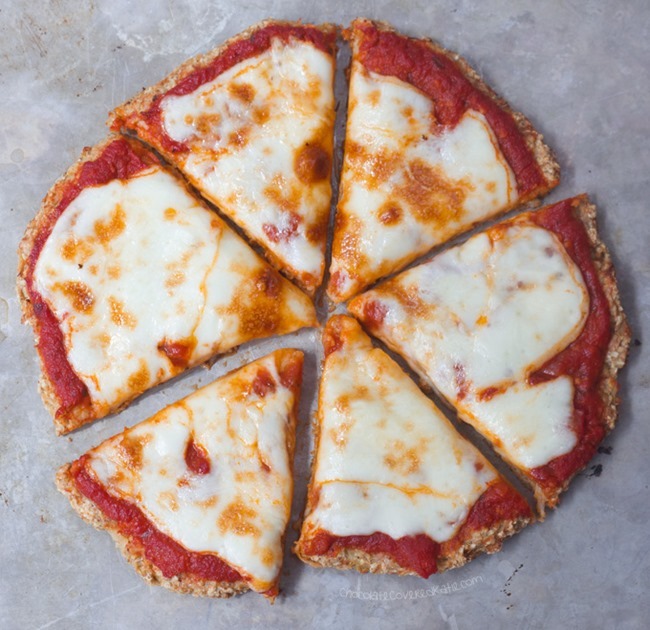 The recipe is perfect for any time you want a quick meal to take on-the-go or a crowd-friendly appetizer that will have everyone asking for the recipe. Packing the mac and cheese bites into your kids’ lunchboxes—perhaps with Sweet Potato Brownies for dessert—is sure to win you the Coolest Mom Of The Year Award. The mac and cheese cups are so adorably addictive that you’ll kind of want to eat the whole batch. So maybe forget what I said about portion control! They’re also great for an easy weeknight dinner, served with a salad or steamed veggies, and Monday’s Deep Dish Brownie Pie. Grease a muffin tin very well, making sure to grease the sides. Set aside. Preheat oven to 400 F. Bring a salted pot of water to a boil, and then cook the pasta until al dente. 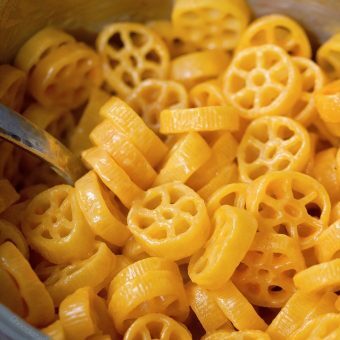 Drain completely, then add all other ingredients (including the 1/4 tsp salt) to the pot with the drained pasta. Cook over low heat, stirring continuously, until cheese melts. Portion into the muffin tins and press each down. Bake 20 minutes on the middle rack. So that the cups set up without falling apart, let them cool at least 15 minutes before going around each with a knife and then popping out of the muffin tins. Thank you Katie! I can’t wait to try it! As always it looks great! Love your recipes. I know lots of vegan cheese, but haven’t heard of fyt and can’t find it when I look it up. Out of curiosity, what is this? You are completely right. Thanks for catching that typo, and sorry for the confusion. Katie is fixing now! This might work in a mini-muffin tin for party snacks! They look so cute and delicious! Love this recipe idea, my dear! I can totally picture this at a kids party or even a birthday party with lots of young cousins and relatives, LOL! 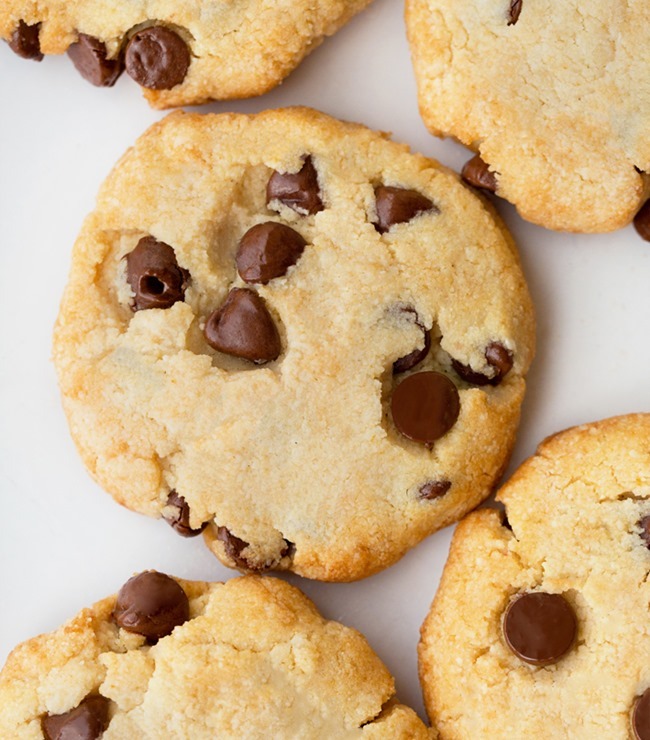 The kids will just chase around the house and try to sneak more and more of these into their mouths! Anyways, this really is a great snack to pack for yourself, too. Mac and cheese can be enjoyed at all ages (and sizes since we’re talking about mini cups to go!)! Cant wait to try! I noticed the recipe only calls for 4 oz of elbow macaroni and 6oz of cheese. 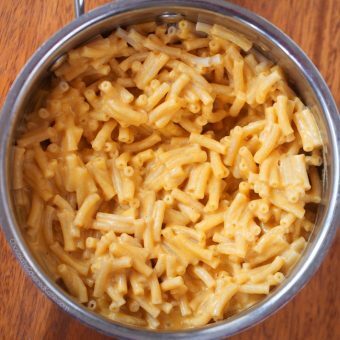 I’m trying to make a full box of macaroni (16oz) so should I use 24oz of cheese? just want to make sure I get the correct proportions. 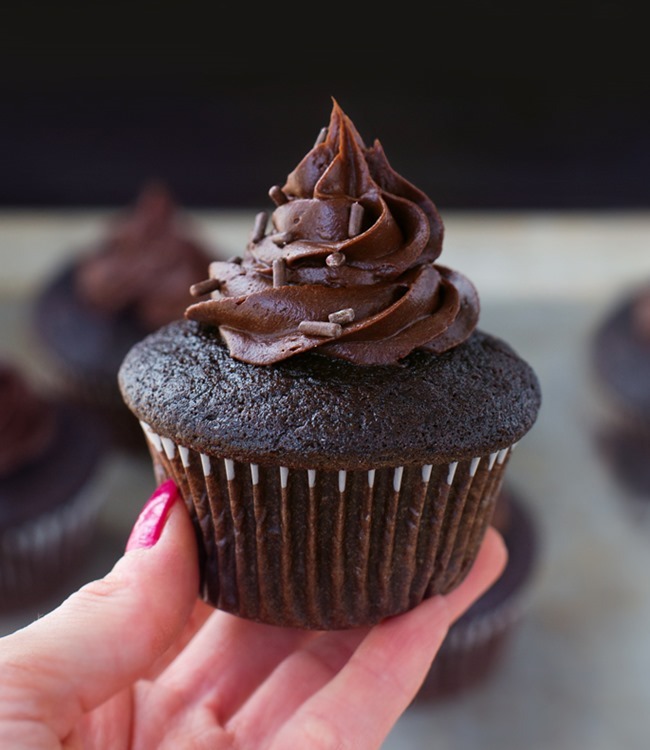 also how long do the cups stay fresh if they’re refrigerated after baking?